Had a busy couple of weeks which have included many visits with your Grandma! Besides the hugs and profound elder knowledge, you also got your very own serving of hot blueberry pie, straight from the oven. You missed the pie? The pie was there, I promise. Grandma’s Genes had a great WikiTree LiveCast on Saturday covering Getting Started with DNA on WikiTree. We had our biggest live audience so far for this livecast and the recorded version views are growing. 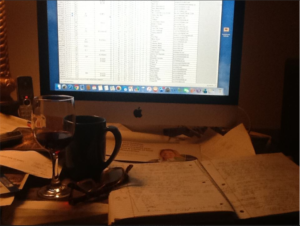 Forensic Genealogy and Adoption – Tracking Down Your Living Limbs. The Ottawa Public Library let your grandma into the Carlingwood Branch to present “Forensic Genealogy and Adoption, Tracking Down Your Living Limbs.” Once the massive crowd (millions I tell ya) settled into their seats they were introduced to the concepts and strategies behind Forensic Genealogy and how those strategies can help with adoption searches. Since I tend towards the Genetic side of things we delved deeply into my Cousin Betty Jean’s adoption search and the use of Genetic Genealogy. After all Betty Jean’s Genes helped us find one of her birth parents so far (and possibly the other – soon…the test is in processing). This was one of the biggest points of the presentation – It takes time. I know. You and everyone else in the world has watched these shows where one instance they are sitting at a table with a Genealogist in Philadelphia and the next they magically appear in Paris talking to their newly found 3rd cousin. It’s TV folks and slow just don’t sell the sponsors DNA test kits. Adoption searches can be a roller coaster emotionally. Bolster your support group with more than just friends and family. Get involved in a local support group and even get some professional help. This was another big point and a big talking point for questions during the presentation. As someone who is researching to find the birth family of an adoptee or the adoptee for a birth family, you do not have the right to willy nilly spread someone else’s story all over the internet. If you know your surname? Post the surname, but don’t go about saying that Jane Smith had a baby in 1955. Especially if it hasn’t been proven in the least yet. Be respectful and only tell the parts of the story that you have permission to tell. Whatever avenue you use to put yourself “out there”, whether it be a Facebook page about your adoption, an adopted and a birth family tree on WikiTree, an instagram feed of photographs of yourself and likenesses between you and people you have proven to be your kin, do so with caution. I myself, personally, don’t know anyone who has been the target of Genealogical Identity theft, but be vigilant with your own personal information. I am very much so “out there”. Being “out there” is a part of my business model, so I hope I am ahead of the game and in charge of my own narrative. You? You have to decide how much or how little you want to make public. Take care of yourself. Judy G. Russell, the Legal Genealogist, covers some of the privacy issues in a posting online in her December of 2016 Blog, The opt-in default. Your Grandma is working away making afghans for all of you. You know, the ones with the big holes that never really keep you warm? The ones you throw over the back of the sofa just when your Grandma comes to visit? They will arrive with blueberry pie stains all over them too. 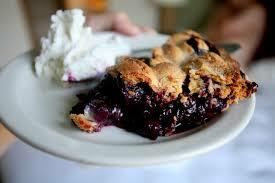 It is, after all, hard to crochet and eat blueberry pie at the same time. Betty Jean’s Adoption search is moving right along. It’s an interesting thing, this kind of search because someone has to have a secret. A secret that they told no one, ever, if you are the father. If you are the mother? It’s a secret you probably had to tell someone at some point. I can imagine the fear of the disapproval and anger that might be foisted upon on unwed mother or father of the 1920’s deep south. Betty Jean was left somewhere in or near Asheville, North Carolina. When her foster parents picked-her up, it was from, according to them, a Catholic hospital. When the Sister gave Betty Jean to them, she described Betty Jean’s mother as having blue eyes and black hair. Whoever left her, father, mother, grandparent, uncle, or aunt, didn’t leave any information with the Sister(s). All of her adoption files were empty. Blank. Nothing in them, period. We had hoped that she might be Betty Jean’s real, live sister but she wasn’t. She was a real, live first cousin instead. A first cousin who had gotten me in touch with her real, live first cousin, Ike. As soon as her test came back as a cousin and not a sister I called Ike immediately. He was the possible clue to Betty Jean’s Adoption. I told him the test for his cousin was just that, a DNA test result showing her to be the first cousin of Betty Jean as well. Ike was more than happy, almost excited, to find the answer to this mystery. I ordered his test from FTDNA and we waited again for five or so weeks. Weeks of waiting to solve this 90 year adoption mystery. To reveal this secret. Glenn Cashion. He lived in Asheville in 1926/7 and his son Ike matches Betty Jean as a half sibling. Betty Jean looks like her father in so many ways it’s almost uncanny. Would they have recognized each other if they had met on the street? Would Glenn have acknowledged his resemblance in a strangers face? How did it happen? How did Betty Jean come about? We have no idea. It was a secret he kept to his death. When Glenn married and started a family of his own, he named his first Child Betty. Betty Glenn Cashion was named for his grandmother, Emily Elizabeth “Betty” Asbury. Looking at this while we were searching, I always though it interesting that Glenn had named his first daughter Betty, when he might have been our Betty Jean’s father as well. I thought that this was a clue to the fact that he might be Betty X’s father. Instinct vs. fact is sometimes very interesting. Ike didn’t say this to make the secret of Betty Jean right. It was not said in defense of whatever actions his father took in 1926/7, it was said just as a matter of fact. Glenn Cashion was a good guy. Betty Jean’s birth family is slowly revealing itself through her DNA cousins. All I have to do now, with Jane’s help, is connect the numbers and the names and the cousins to each other and to Betty. I have to connect the Cousin Dots to end Betty Jean’s adoption search. We knew Pat’s (Betty Jean’s first cousin once removed) birth father. 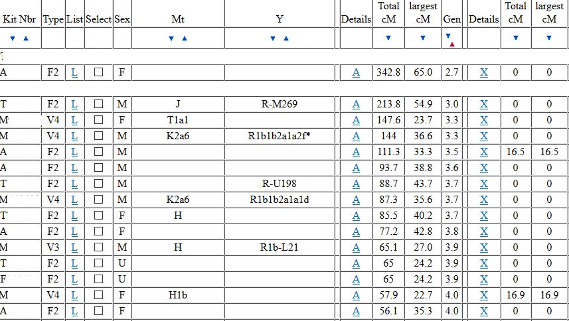 We also knew from the DNA numbers that Pat and Betty Jean most probably shared a MCRA (Most Common Recent Ancestor) at 2.7 generations from the estimates on GEDmatch. 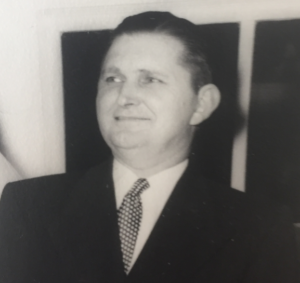 Pat’s father was Phillip Alexander Brotherton, b. May 23, 1923 in Catawba County, North Carolina. Phillip Alexander’s Father was Seba Ivey Brotherton, b. August 11, 1880 who was married to Annie Cashion Brotherton. I worked J.’s connection back to Annie Cashion and worked Annie’s family, filling in WikiTree and my huge DNA/Pedigree Chart down to J. The Common Connection? The Family of James Henry Cashion and Frances Little. Annie Cashion Brotherton’s brother, Charles Cleveland Cashion, b. 1884, from Catawba Springs, NC., was J.’s grandfather. Seems this family might be VERY connected to Betty Jean and the clue to her adoption. James and Frances had 9 children. All these children in one way or another had connections back to the Howard’s or Brotherton’s. AND their mother, Frances Little had connections back to the Howard’s through her sister, Obedience who married a Barkley who’s mother married a Howard and… there were many, many overlapping connections. James Hua, b. abt 1885 m.
And who is it in this family who looks like they might have a few more connections than the others? Charles Cleveland Cashion, J.’s Grandfather and Pat’s Great Uncle. 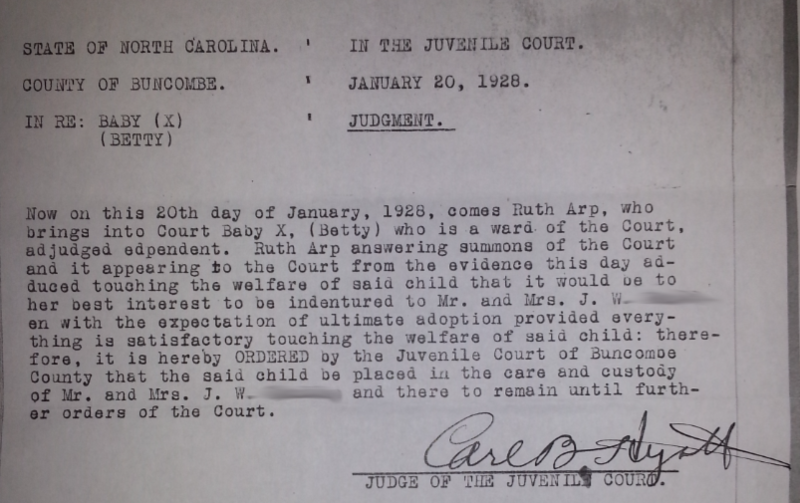 We know that Betty Jean’s adoption took place Asheville, NC in 1928. We have been working on the assumption that she was born in Asheville or surroundings in 1927. Who in Charles Cleveland Cashion’s family might have been in Asheville NC in 1926 or 1927? Charles Cleveland Cashion’s Children who were in Asheville NC in 1926 or 1927? James Harold, the oldest was a delivery man. He was in Asheville, but not living there. Harold and Glenn are listed in City directories as living in Chatanooga, TN in 1927. William Ray and Glenn are listed as living in Asheville, NC in 1927 as well. The first descendant of these three brothers we found, who met our criteria (living) for further testing, was a daughter of William Ray. I called and talked with her and told her Betty Jean’s story and that I wanted her to take a DNA test. The conversations about the test and what it would entail was spread over two or three phone calls. She agreed and was very interested to find the answer to this adoption mystery. She also told me about a first cousin, one of Glenn’s children, that we might want to contact – Ike. I ordered her test and had it shipped to her. The DNA company let me know it had been shipped and I waited. And waited some more. While I waited I contacted her cousin, Ike. He too was interested in doing a test, solving the adoption mystery. Since his cousins test was already ready to be sent in, I told him we would wait until we got the first test back to see if we needed to test him. Nearly as soon as I hung-up with Ike I found out I had travel to William Ray’s daughter’s corner of the world. Once there I called her to ask if I could swing by to say hello. It’s always fun to put a face, a person to the work. Her answer? She was glad I called because she hadn’t done the test yet and had some concerns. OH NO! When she had received the DNA test kit and looked through the paperwork she saw a slip of paper where she needed to sign a release allowing her DNA to be shared. I explained to her that sharing was a huge part of DNA testing because if she didn’t share her results then I wouldn’t be able to find matches in her results – the most important one being Betty Jean. I then explained to her how we could make her test information anonymous. She looked incredibly relieved, signed the papers and did her swab. I mailed the kit off the next day. I also took a couple pictures of her for later use if her DNA came back as a close match to Betty Jean. The test came back 5 weeks later and…she was a very good match to Betty Jean. A solid first cousin. Even before the results had finished loading I was on the phone to Ike. Betty Jean’s adoption search is all in the family. She ended her Adoption search years ago with her family, her husband, by her side. There was nothing to find. Then many, many years later a cousin (me) asked if she could start the process all over again. The physical search itself is all about looking in the nooks an crannies of the Howard/Brotherton family for people living in, or being in, Asheville, NC in 1926/7. The Howard’s and Brotherton’s are the family who hold the clues that will lead to an end to Betty Jean’s adoption search – 90 years after her birth. To tell Betty Jean’s story we have to tell a bit about Pat’s story. Pat is a generation or so younger than Betty Jean. She is, like Betty Jean, adopted and looking for her birth family. Pat got a DNA test done in the hopes of the DNA being the key to he mystery. It was/is. Jane, the Genealogist/Adoption Researcher who is a member of the Howard and Brotherton family, was also her key. But there was another key to Pat’s search, something every adoptee wished they had. The letter comes from a time before the agency would offer to find birth parents. She paid them a fee to go through the microfiche records to see what non-identifying information existed. It was a weird experience for her to read that letter because of the similarities in some of the her family hobbies. Subsequent communications from the adoption agency to Pat also gave more information on the birth mother and birth father. Like occupations, religion, height and ultimately what the cause of death was for her birth father – cancer. Why these two families? Because of the number of people who have done DNA testing with strong connections to these two family lines who also match Pat. Armed with the clues in the Agency’s non-identifying communications, Jane hit the pavement running. Tracking down anyone in the Howard or Brotherton families who were in the professions listed for Pat’s birth parents. She also scoured the geographic locations. Eventually Jane found Charlotte, NC as the common geographic denominator in the equation. She located a few Brotherton’s who matched the profession of Pat’s birth father. Then worked to determine if one of them could have crossed paths with Pat’s birth mothers profession. She interviewed people who new Pat’s possible birth fathers and anyone else who could give the answer to the questions Jane asked. 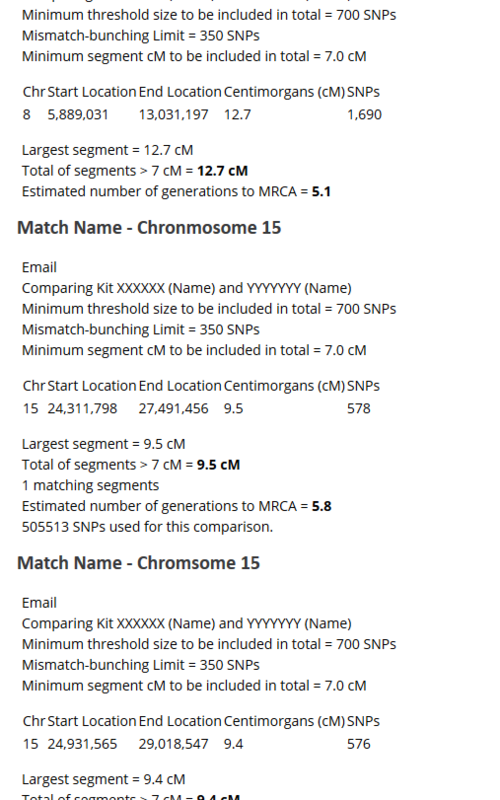 I became involved at this point and started hashing out the family connections using the DNA numbers – cM’s (measurement in DNA) of matches and generations to MCRA (most common recent ancestor) estimates, one to one comparisons, one to many comparisons, GEDcom + DNA searches, in common with, not in common with, overlapping segments, triangulation, working the patterns slowly appearing in WikiTree DNA Sanbox, all to whittle down the possible candidates. Whittle is the appropriate word because it wasn’t a BINGO moment, it was slow and deliberate process of elimination. Just like slowly morphing a piece of wood into a shape. Janes’ work, and my bit of back-up, found the shape that is Pat’s birth father. A Brotherton. For me Pat’s birth father was circled on my big DNA/Pedigree Chart (the chart I created to help me understand Jane and Pat’s and, soon to be Betty Jean’s, crazy confusing family tree). Somewhere in that tangled mess of limbs lay Betty Jean’s birth something. At about the same time, just as Pat’s father was confirmed, Betty Jean contacted me with some worries about her health. Doctors visits and traveling for appointments were in her very near future. Betty Jean was nearly 90, and I didn’t know how serious her health issues might be, so we, Jane and I, turned the majority of our focus toward the work to find Betty Jean’s birth family. How can one person have two limbs connected to the world tree – WikiTree? The whole idea of a World Tree is one profile per person on the tree. Well, Betty Jean has her birth family and she has her adopted family. To connect her to only one line, her biological line, seems right because genetically this is the family she is related to. But we also shouldn’t discount her adopted family. Adoptees have two totally different, viable, family lines. “I’ve got a question regarding the profile(s) you’ve created for Betty Jean to see if I understand correctly how you’re using WikiTree. 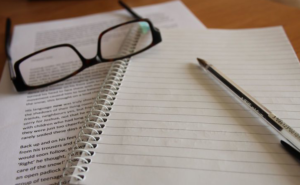 Did you create two different profiles, one connected to her adoptive family and one that was wholly unconnected as you didn’t know anything about her birth family? Will you eventually merge the two profiles? How will you decide which set of parents to leave her attached to? “Yes I added a profile for her adopted self and connected her to her adoptive family. Yes I created a birth profile. I have been adding individuals to WikiTree that are in Betty Jeans birth family and will connect her to them once the last DNA test proves which of the three men in my cross hairs is her father and which of the singular woman in my cross hairs is her mother.. I will not merge her two profiles. She has two completely different Genealogies. 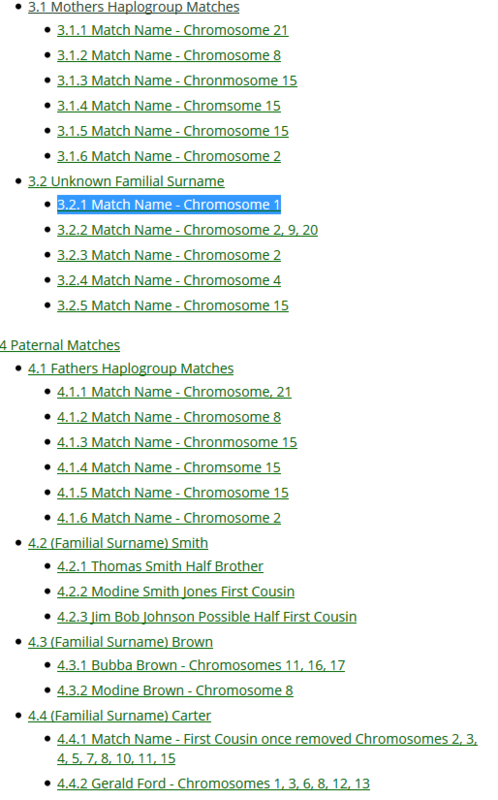 One which is her adopted genealogy and one which is her BIO or DNA connected Genealogy. Simply put, we are going to find people that Betty Jean matches via DNA and add them to WikiTree, or find them if they are already there, and work to make connections between these matches and the end of our search – Betty Jean. This is where the whole one profile per person comes into play. 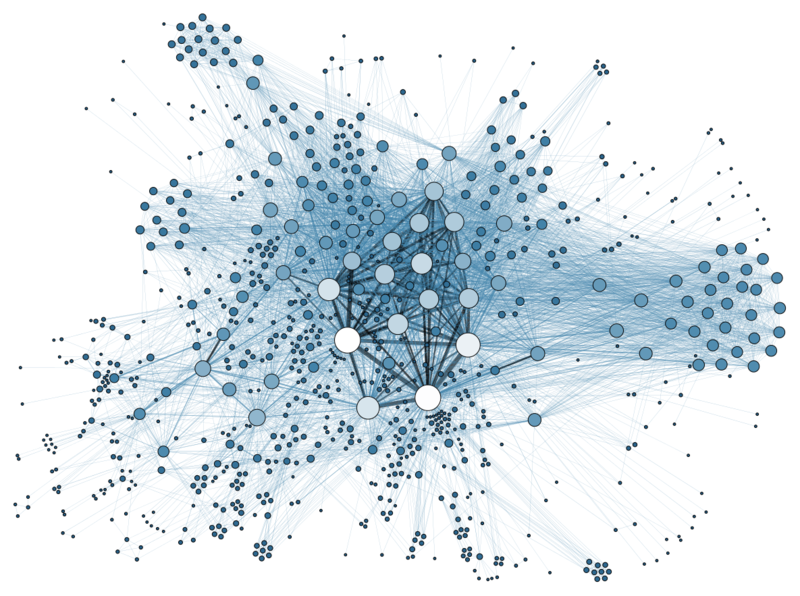 We won’t spend time scouring many, many duplicate lineages looking for connections; we only have to find one line. The tree will be worked in bits and pieces as we find DNA matches and Triangulated DNA matches with identifiable common ancestors. As we find or add these common ancestors we will work our way from the distant past to now. The goal? To ultimately find the right people in the right place at the right time – Asheville, NC, in 1926-1927. When I connected with Jane (Jane Howard Schenck, one of Betty Jean’s DNA matches and Genealogist) Jane’s first words were, “it has to be the Howard’s.” Jane quickly invited me to view her family tree on Ancestry. Viewing Jane’s Tree on Ancestry was like trying to see a map of the US using a mono scope from two feet away. My excitement at finding a Tree to connect Betty Jean to was immediately overwhelmed by the scope and size of Jane’s tree…all 20 feet of it. Deciphering all the intricacies of Jane’s well sourced/documented Ancestry tree was going to be one huge undertaking. 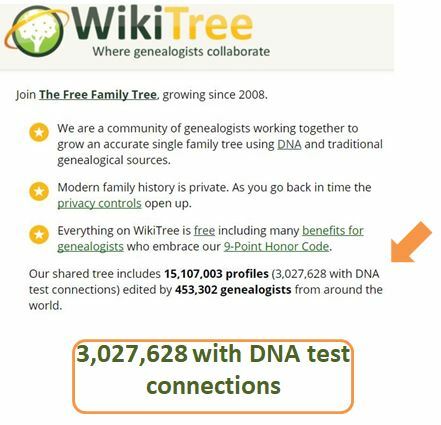 To be able to use WikiTree’s Connecting abilities, DNA Tools, Relationship Finder Tools and RootsSearch integration tools I needed to be able to use Jane’s Tree in WikiTree. 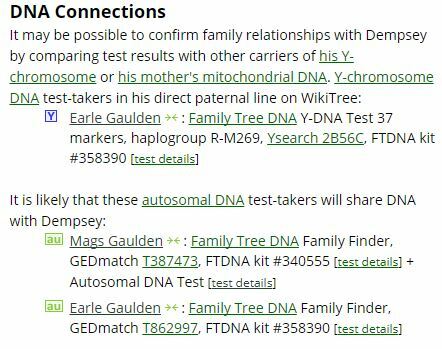 I started adding Betty Jean’s top DNA matches to WikiTree based on Jane’s research. “WikiTree is on the brink of releasing a new tool which will do the work that I labored over for months, in the blink of a proverbial eye.